Are you looking for a quick and engaging way to get employees involved in corporate wellness? Do you have an established wellness program, but want a way to reach those individuals who have not yet gotten involved? Would you like to share valuable information in an interactive and personalized way? If your answer to any of the above questions is “yes,” it is time to consider a corporate wellness Lunch and Learn. These high-impact sessions are convenient and customizable. If you have never considered hosting a lunch and learn or you do not know how to begin, get the facts from Wellworks For You. Through our dedication to corporate wellness, our team has developed an engaging approach to teaching wellness using the Lunch and Learn program. What is A Corporate Wellness Lunch And Learn? A corporate wellness Lunch and Learn is an onsite 30-60 minute workshop which uses educational tools and interactive discussions to support your wellness program. Typically, these involve a health expert coming in to talk with participants about specific health and wellness topics. These may range from smoking cessation or stress management to the incorporation of healthy food and activity into participants’ lives. Because these seminars occur onsite, they offer little or no inconvenience, allowing the maximum amount of participation. 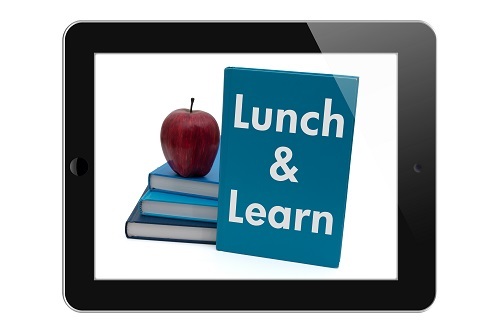 Why Host A Lunch And Learn? A corporate wellness Lunch and Learn is an integral part of any comprehensive wellness program. This educational platform creates the opportunity to share important information in an engaging way, especially when they include time for discussion with the speaker at the end. Although wellness newsletters can be informative, a Lunch and Learn is far more effective because it is allows the information to become alive. Furthermore, because these are relatively short sessions, they allow for high-impact focus on particular issues and specific, positive changes employees can make. At Wellworks For You, we have developed our Lunch and Learn platform in order to maximize its effect on the health and wellness of participants. Our speakers are all accomplished health experts who are specialized in a variety of topics. So, no matter what topic is important to your group, we can provide in-depth and practical knowledge on the subject. Most importantly, we realize that customization is the key to engagement. That’s why we let you choose the topics that matter to you and include time for discussion or Q & A at the end of the session. If you would like to host a corporate wellness Lunch and Learn at your company, contact us today!